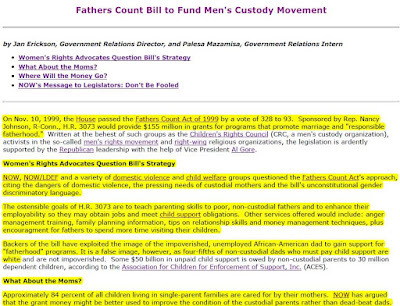 The largest feminist organization in the United States, The National Organization for Women opposed the Father's Count Bill that was designed to help poor fathers find employment so they could pay child support and to reunite them with their children. 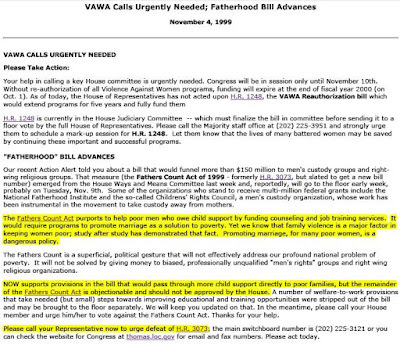 Here in their statement you can see they were motivated to oppose this bill simply because mothers were not being handed money as a result of the bill. 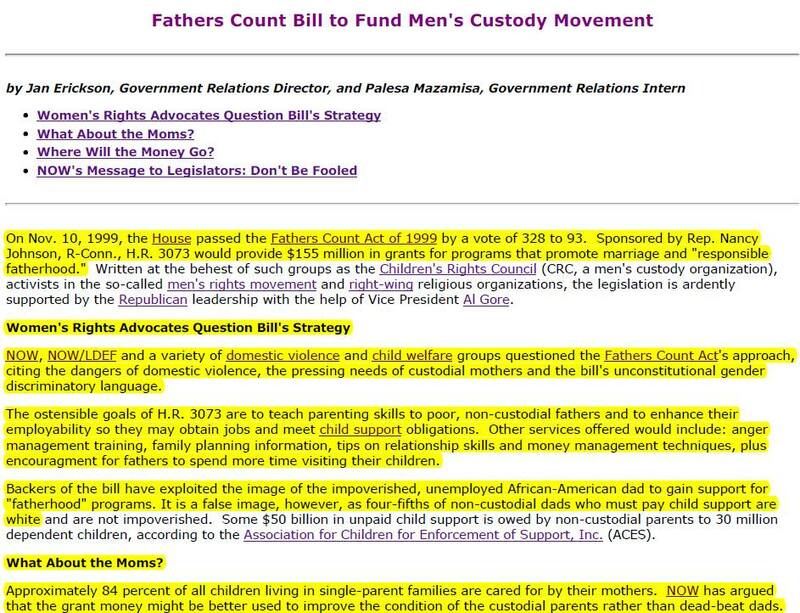 Also they opposed it because of their rivalry with Republicans, and labeled all single fathers as "deadbeat dads". 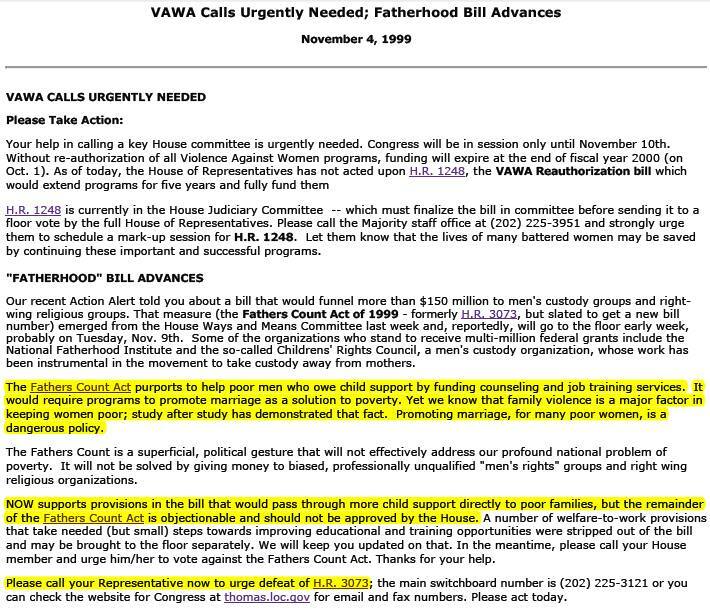 This is how spiteful and harmful to families the feminist movement has been historically and demonstrates clearly why we call them a hate movement. One or two "good feminists" cannot rectify the damage that has been done to so many children being deprived of their fathers out of spite.